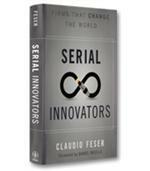 Using a list of more than 2,000 successful innovations, including Cirque du Soleil, early IBM mainframes, the Ford Model-T, and many more, the authors apply a proprietary algorithm and determined ten meaningful groupings—the Ten Types of Innovation—that provided insight into innovation. When Henry Ford introduced the Model T in 1908, he was competing against 87 other car manufacturers. While most people recognize the revolutionary concept of the assembly line, Larry Keeley and his colleagues at Chicago-based Doblin, a design-driven innovation firm, can offer a much greater appreciation of the depth of innovation at the Ford Motor Company. In Ten Types of Innovation: The Discipline of Building Breakthroughs, Keeley and his co-authors, Ryan Pikkel, Brian Quinn and Helen Walters, all Doblin collaborators, explain that all great innovations throughout history consist of some combination of just 10 basic types of innovation. Henry Ford’s innovations in automobile manufacturing, the authors note, combined an astonishing eight of the 10 innovation types. The 10 innovation-types framework is a sort of periodictable of innovation, according to the authors, with the types laid out in one line of squares from left to right. The framework begins on the left with the most backoffice, invisible types of innovation. These "configuration" types consist of, at the far left, profit model, followed by network, structure and process. One of the most famous profit model innovations came from Gillette, which pioneered the "razor and blades" model. This profit model is built for products that have an anchor, or enduring base component, and a disposable component. The base component (the razor) is sold at a low price, while revenues are generated from the repeated sale of the profitable disposable component (the blades). The types of innovation focused on the core product or service of the company, what the authors label as "offering types," are in the middle. These are product performance and product system. At the right are the elements of "experience" that is, the types of innovation that are focused on the customer. These consist of service, channel, brand and, the most directly connected to the customer, customer engagement. Too many companies, the authors write, are fixated with product innovation, without recognizing the potential of other types of innovation. 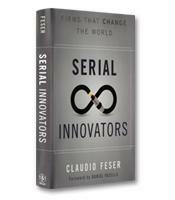 The best innovators, they write, combine the innovation types. One study showed that while the "average" innovative companies integrated an average of 1.8 types into their innovations, the "top innovators" integrated 3.6 types of innovations into their offerings. 5) channel the purchase of Kinkos, Inc. opened up more FedEx drop-off outlets. 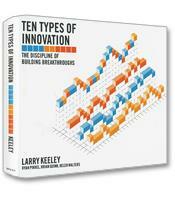 With innovative graphics that model the potential for doing things differently, Ten Types of Innovation is a book that is entertaining and inspiring but also succeeds at offering business leaders a systematic approach to innovation thus "moving the field," as the authors write, "from a mysterious art to more of a disciplined science."